J. K. Rowling's plan for key events in Harry Potter and the Order of the Phoenix. More information here. Via my indefatigable editor, Adam Keiper. So cool. Hey, I'm reading this book right now! 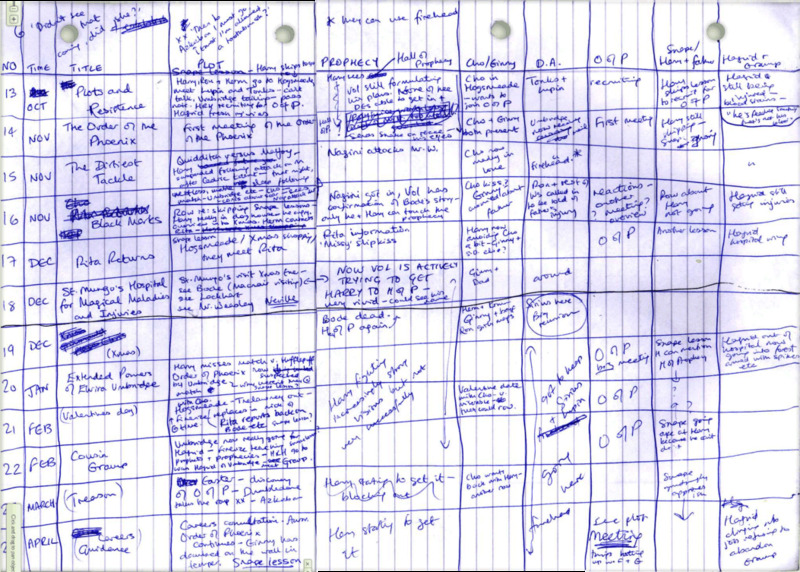 Maybe I can use this chart in the way we used your map of Ulysses to navigate the book. I see a column for time, but where is the one for organs?